← Women – Exercise Myths – Had to share this! Hi everyone, so how was your weekend? Are you sticking to your clean eating or are you snacking away? As you all know by now I’m on holiday – and all I can say is it’s amazing to have some time off! I am so relaxed and it’s wonderful to be able to do things on your own time without being in a hurry. The weather is great although there have been rainy days but never the less we found something to do. Shopping at Gateway, visiting friends in Hillcrest, dining out or just relaxing in the hotel. Even though USN advised me to take the time off this week I just couldn’t ;-), I’m taking it easy by making sure I only train one session a day for not more than a hour or so! I decided to buy 2 dumbbells (forgot my kettle ball at home) did bring my yoga Matt and skipping rope and obviously my awesome Nike training shoes ;-). No holiday excuses and off to a good training week. I don’t regret this decision for this was the most enjoyable week training wise. Change of scenery and nothing like a jog next to the coast on an early morning and weight training with the view of the ocean. Beautiful indeed. I worked out my own little training program for each morning, consisting of cardio and weights! I got a Nike+ training band from Ian and what an awesome little gadget to have. 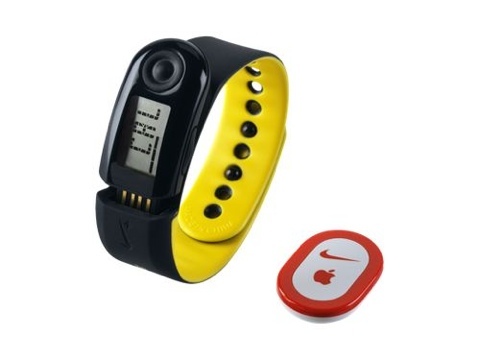 This is a device compatible with my Nike shoes that records your distance, pace and time of every run. I was so curious to jog the same route as each morning, just to see how many km we ran each morning. To my surprise it was 5.53 km. I thought its 3km only to see this morning it was almost double the distance. I was proud of myself for I am not the best runner out there, but I have to admit I’m enjoying the running and will definitely train to reach the 10km mark which I don’t think is difficult for it is not as if I’m too tired to jog further in the mornings. The distance of the pathway next to the beach is this distance. Eating wise there has been some slip ups. I can mention everything for I know when I cheated and on what. I feel horrible after each bad decision I make. I had half a small pack jelly tots, half a pack chocolate eggs, few M&M’s, nutri rusks, hand full speckled eggs, 1 Single Amarula Don Pedro and one evening some Prawns prepared in some souse with chips, and last night 4 pieces ribs and small piece “boerewors” and a bun! This is all the cheats during the holiday and I feel terrible about it. I must confess it’s a struggle in my mind to have something that I know is not part of my diet! Everyone tells me to relax, take a break and have a cheat meal every now and then but I just can’t. I feel condemned and guilty after each one! How do you experience this? Please share with me! I hope you all will enter the new week being motivated, goal orientated and positive about your efforts. Always give your best! Train hard, stay focused but the most important of all is enjoy every moment. I’m looking forward to this week being on holiday until Wednesday, I’m excited to send my disk to USN with all my photographs and then most of all I’m looking forward on the next step of training when I’m back. As Gareth USN said we will work towards the next level when I’m back :-). Remember it is important to set new goals once you achieved your current goals. Even if it is maintaining your new lifestyle and figure! Posted on November 20, 2011, in Daily Post and tagged Ballito, Claudine Kidson, Focus, Holiday training, Home training, Nike+, Set Goals. Bookmark the permalink. Leave a comment.